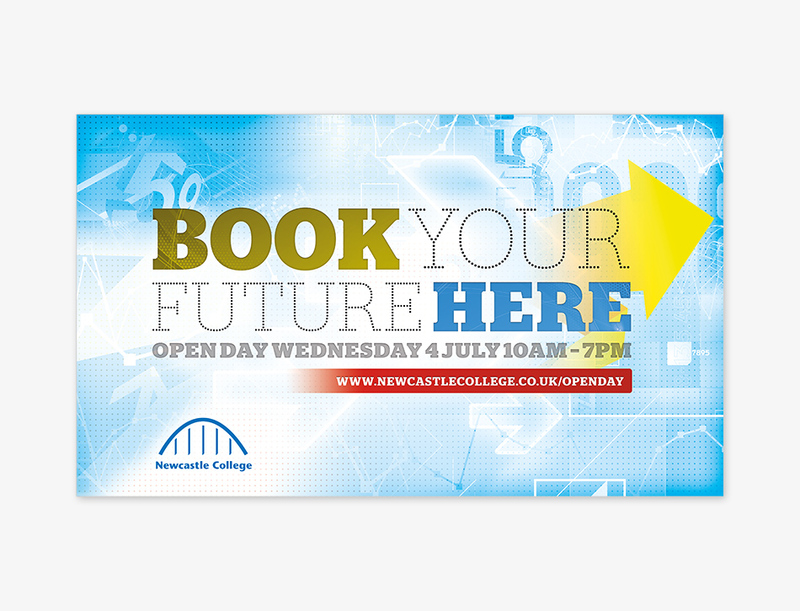 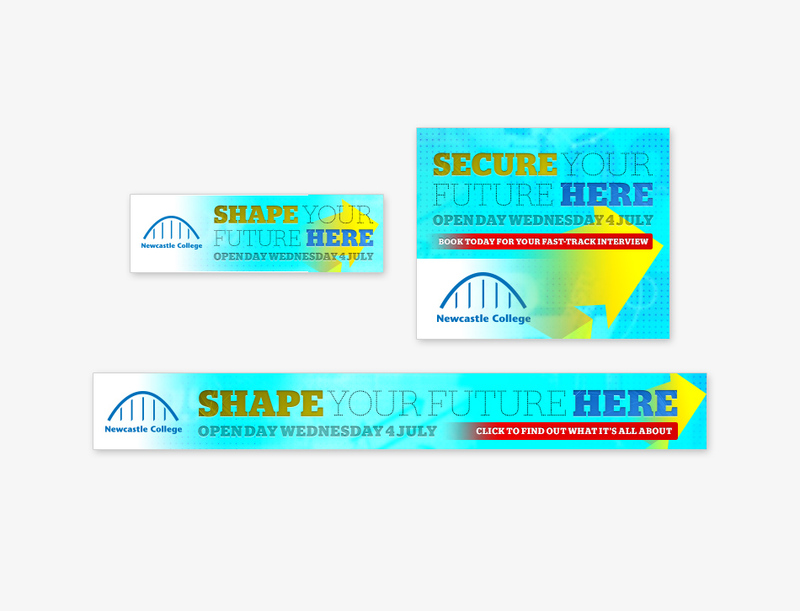 We were asked by Newcastle College to produce a campaign to promote their enrolment Open Day. 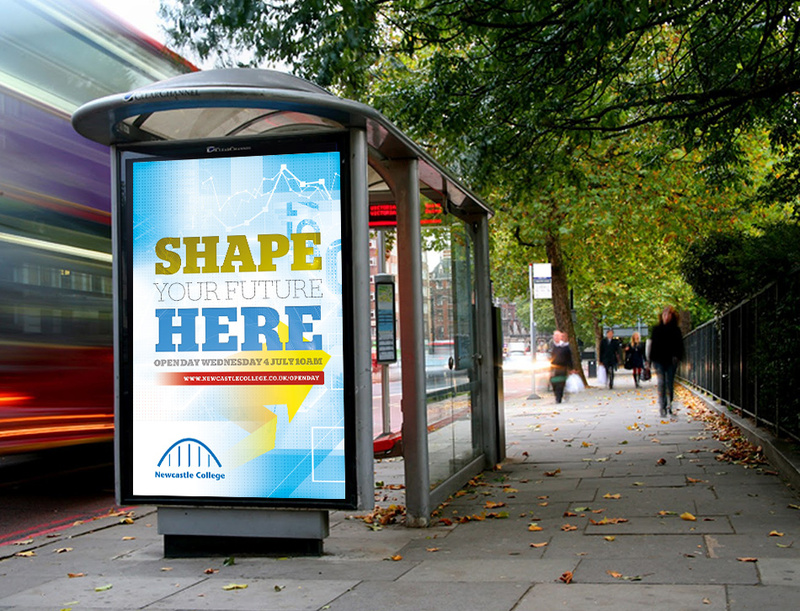 The graphic language and message had to target the school leavers and get noticed around the city via billboard and bus stop posters. 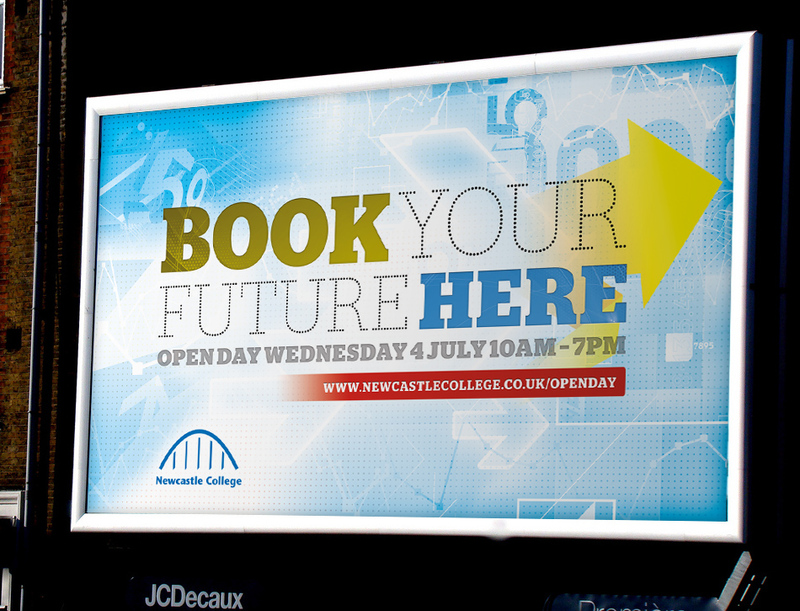 Radio adverts and web adverts were also used as part of the campaign.